Christmas is almost here, but we’ve got you covered with our Top 25 Christmas Games! You’ll find plenty of games to make your Christmas gathering, party or event a hit. Everything from relay races and team activities to fun up-front games and trivia. Check out our Top 25 Christmas Games, get your game on, and have a very Merry Christmas!! A simple fast-paced relay game involving the 12 Days of Christmas. Get some paper & bottles (buckets or cans work as well) and you’re ready to go! If you’re looking for something different, this is the perfect game for your group! Use our awkward Christmas photos and head out to reenact them with random people. Trust us, hilarity is sure to ensue! A fun up-front game or one that everyone can participate in. Pantyhose, balloons and a frantic race are a great recipe for laughter and fun for everyone. This team game gets people working together to see just how many candy canes they get connected in 60 seconds or less. Be careful not to snap those candy canes if your team wants to win this one! Work together to put Christmas Songs back in order with Hershey Kisses. Super simple and super fun for everyone! Head outside for an exciting hunt for some common and unique Christmas items. Find enough of them fast enough and your team may just wind up winning! See how well your group can act out some Christmas Classics. Creativity & quickness are key if you are to be victorious. Test your useless Christmas knowledge with this great trivia game. Everything is on PowerPoint, so all you have to do is upload and play! It may or may not be snowing where you are, but this game is sure to get one of your team members covered in white. Pick up some duct tape and cotton balls and you’re ready to roll! One of our most creative games involves Rice Krispies Treats and a whole lot of imagination. See what creations your groups can come up with- they may just shock you with what they craft. Are you a Christmas Movie buff? Put your knowledge to the test with our downloadable PowerPoint game. You’ve got a problem and someone else has a solution. Put these comical situations together and get ready to for a good laugh! Need a little chaos? Then get your group up and moving with this awesome relay that everyone will enjoy. Make sure to be videoing this one- it will be an instant classic! Want to say thank you to your team or group? Or maybe you just want to watch people go crazy for some prizes. Either way, this is one of the most intense and fun games on the list. Get some prizes and watch people go wild! Decorating a tree is a lot of fun, but decorating a person is even better! Do your best, or worst, decorating job and see who comes out on top. Select one or play multiple Christmas Minute To Win It Games. These are great to play, but also a ton of fun to watch! 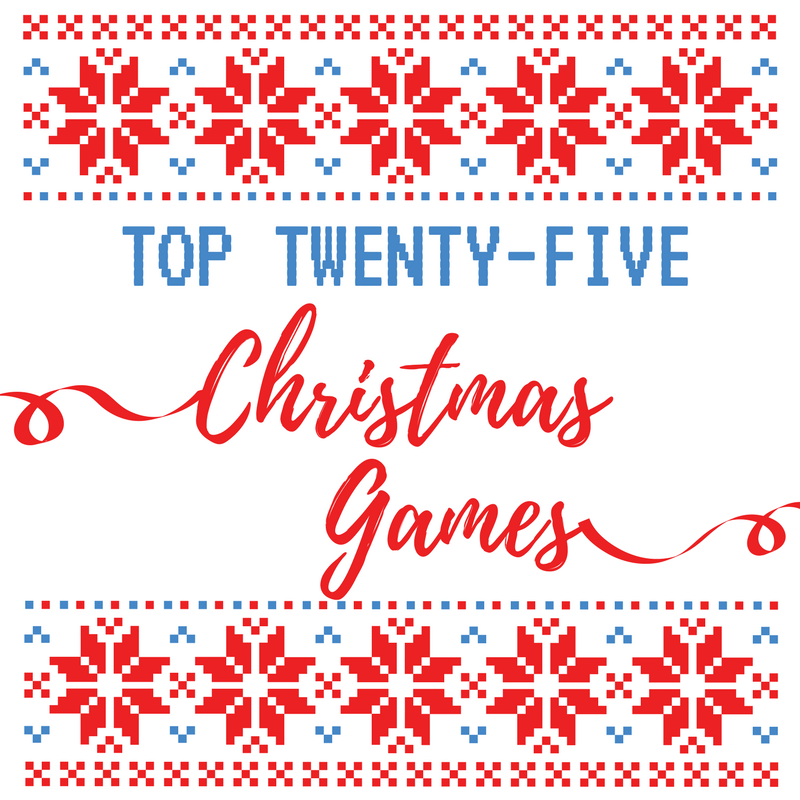 There you have it, our Top 25 Christmas Games that your group is sure to enjoy! Make sure to check out over 200 games in our free Game Archive and make your gatherings great all year round. Have a great game that you think others would enjoy. Shoot us a message on our Facebook page for the opportunity to be featured in our Game of the Month blog starting in January!